Definitions and examples of Obstetric Ultrasounds are presented in two views. 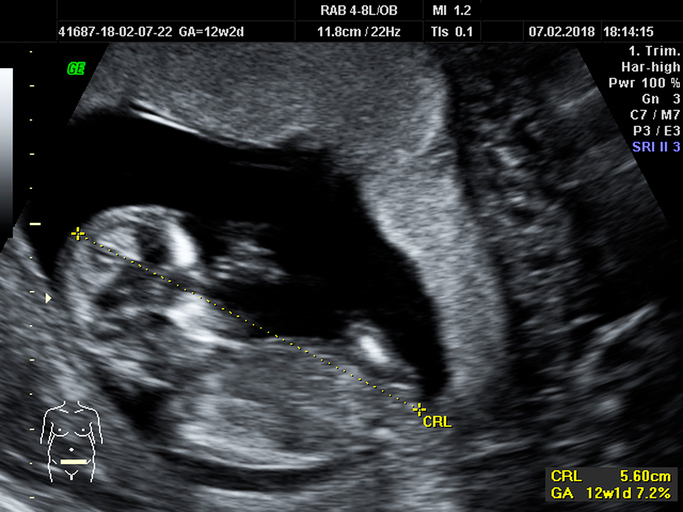 Obstetric Ultrasound scans are considered a safe, non-invasive, accurate and cost-effective investigation in and of a woman’s uterus and overies as well as of a fetus if one is present. It has become an indispensible obstetric tool the world over. 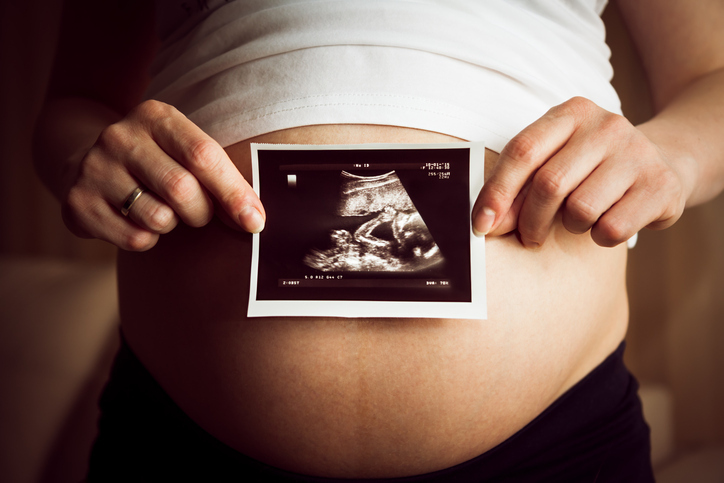 However, obstetric ultrasound is not limited to those only who are or think they are pregnant. Other uses for obstetric ultrasounds may be to screen for or diagnose any abnormalities in or around the ovary, uterus, or Fallopian tubes, such as growths or tumors. They can also aid in the diagnosis of uterine and pelvic abnormalities. Diagnosis and confirmation of early pregnancy. An embryo can be observed and measured by about five and a half weeks. 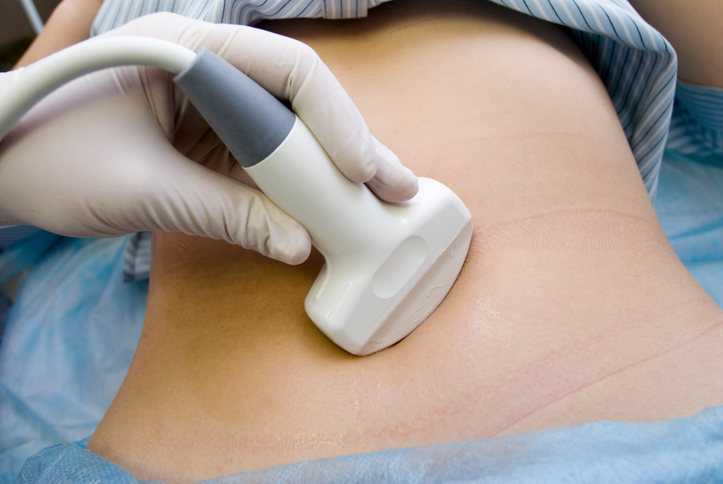 Ultrasound can also confirm if the site of the pregnancy is within the cavity of the uterus. A visible heartbeat may be seen and detected by pulsed doppler ultrasound by about 6 weeks and usually is clearly seen by 7 weeks. Fetal size, weight and gestational age. 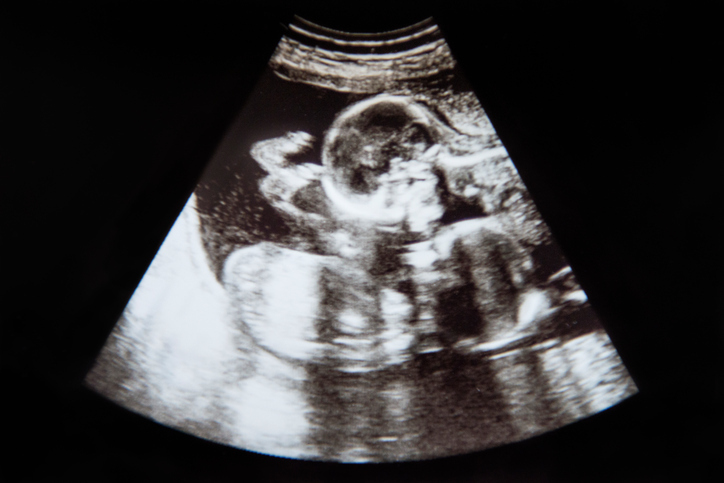 Fetal body measurements reflect the gestational age of the fetus. 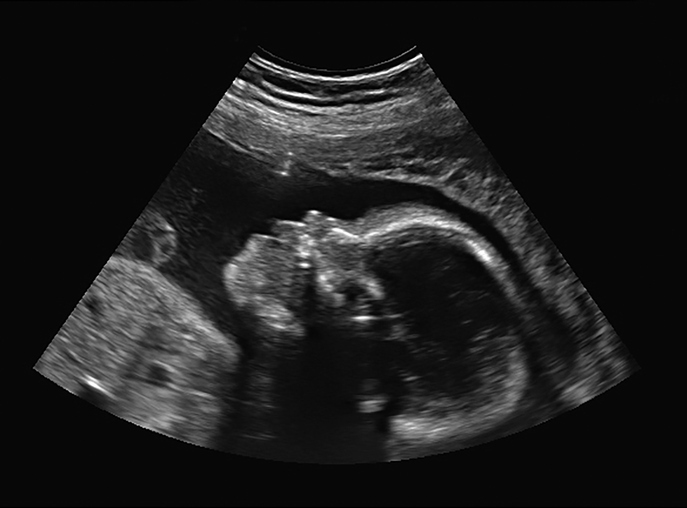 Ultrasounds for women in the latter part of pregnancy can measure body parameters and help assess the size and growth of the fetus. It may also assist in the diagnosis and/or management of intrauterine growth retardation (IUGR). The weight of the fetus at most any gestation age can also be estimated as well. 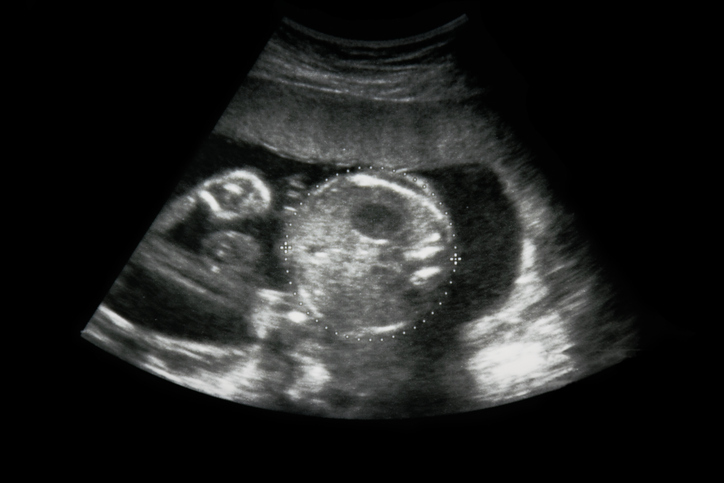 Abnormalities in the structure or growth of a fetus can be examined and diagnosed by with ultrasounds. With more recent or specialized equipment, conditions such as cleft lips/ palate and congenital cardiac abnormalities are more readily diagnosed and at an earlier gestational age than ever before. Chromosomal abnormalities are now being seen as well, enabling detection of Down syndrome fetuses. That’s right – twins! Even triplets or more. 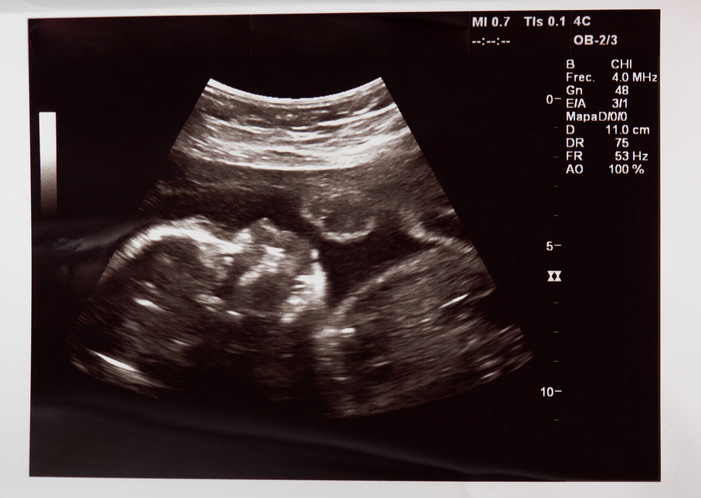 Ultrasounds are invaluable in determining the number of fetuses and the conditions and/or positions they are in. 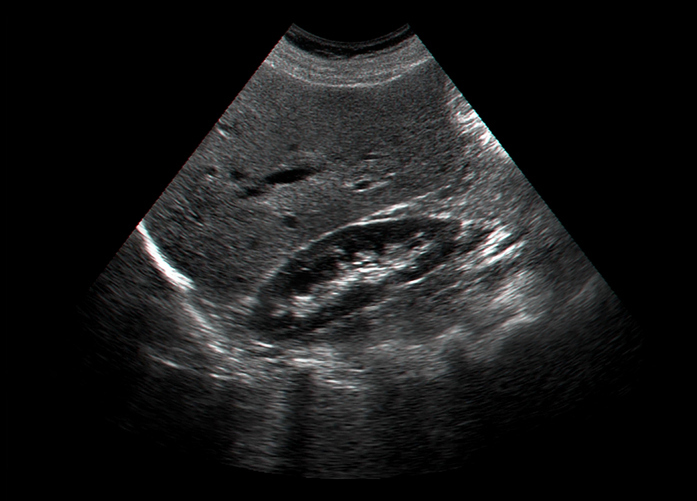 Excessive or decreased amounts can be clearly depicted by ultrasound. Both of these conditions can have adverse effects on the fetus. 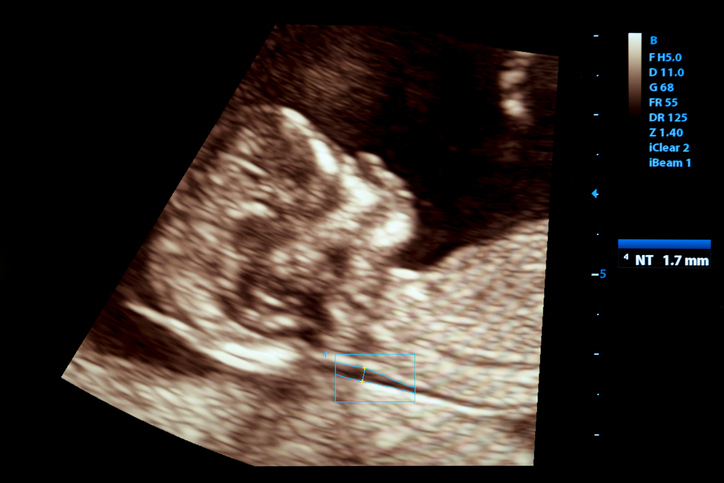 Ultrasounds are of tremendous value in other obstetric conditions such as the confirmation of intrauterine death and showing fetal presentations in uncertain cases. Above: The most common obstetric ultrasounds? A baby's first picture. Obstetric ultrasounds are painless and done fore a varitey of reasons, like capturing a baby's first picture. 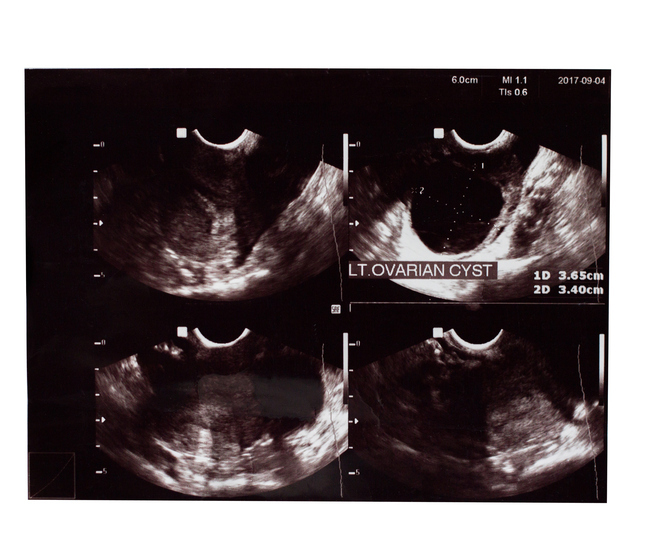 Above: Obstetric ultrasounds are used to check the ovaries, like the one above. 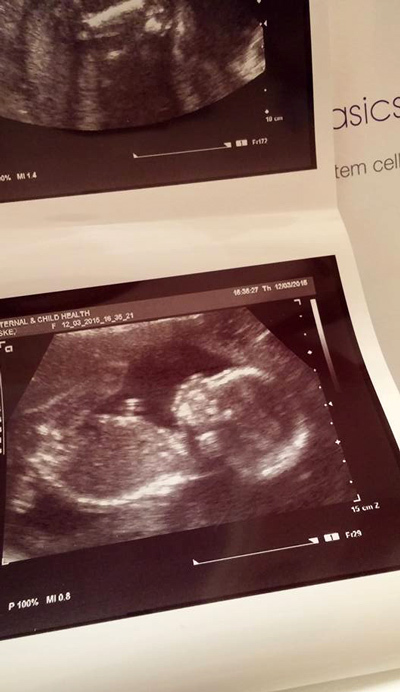 Above: Baby ultrasounds are continually developing in technology, but this fuzzy image is still helpful. Above: Ultrasound of a baby pushing up against mom's tummy. 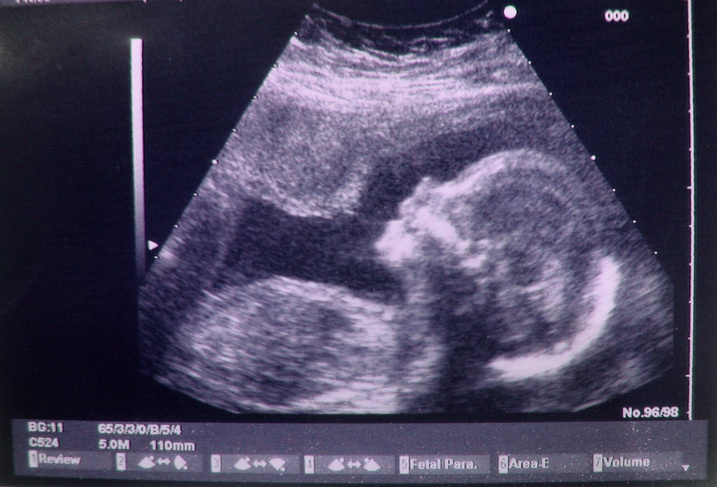 Measuring the growth of a developing fetus is one reason doctors order obstetric ultrasounds. 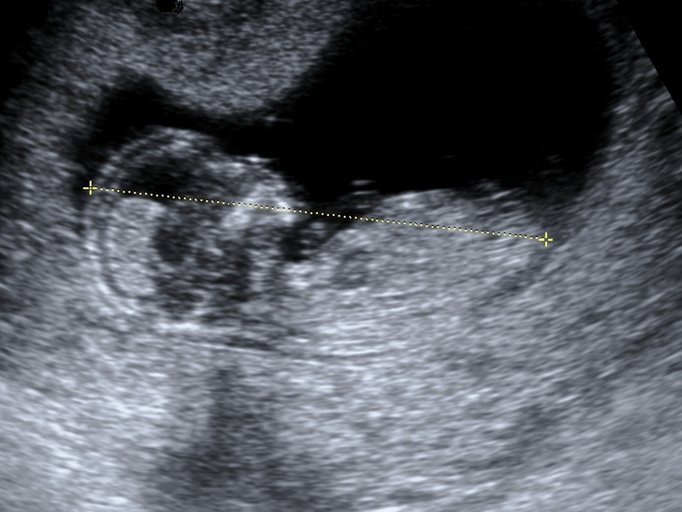 Above: Measuring certain parts of a pregancy can be seen in this obstetric ultrasound. Above: Measuring the length of fetus as 12 weeks, 2 days. Above: Measuring the head of a baby in mother's womb. Above: Print outs from an Ultrasound test of a healthy fetus inside the mother's healthy uterus. 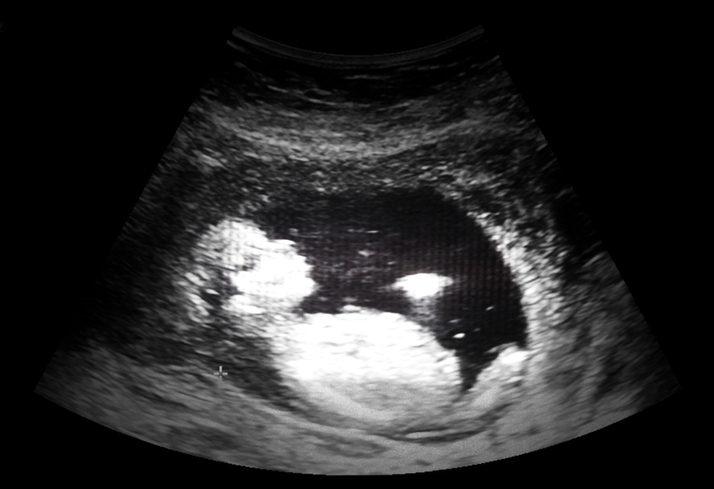 Above: See the head of a baby in this obstetric ultrasound?